Home Breed Information Labrador Mix Breeds Beagle Lab Mix – The Pros and Cons of a Beagador! Beagle Lab Mix – The Pros and Cons of a Beagador! 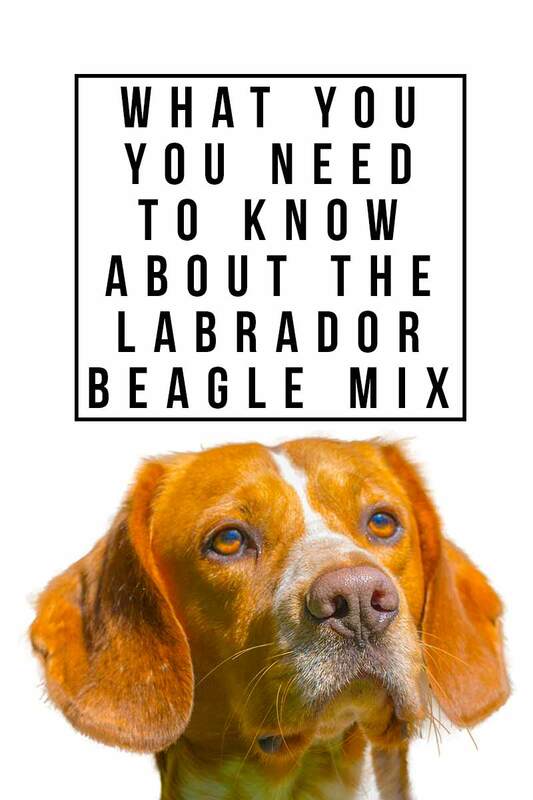 Are you curious about the Beagle Lab Mix, also known as the Labbe, Beagador, or Labeagle? Wondering if the Beagle Lab Mix is the right dog for you? In this article, we briefly discuss what to expect with a ‘designer dog’. 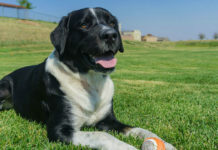 Moreover, we explore everything you need to know about this clever, loyal, and energetic mixed breed including origin, temperament, and health. From wet noses to wagging tails, here’s everything you need to know about the Beagle Labrador crossbreed. 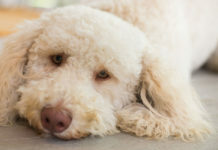 More than ever, breeders and owners are enjoying what some experts consider a solution to the generational health issues that increasingly plague purebred dogs. Some experts argue that genetic defects can be just as prevalent in crossbreed dogs, if not more. There are also arguments about whether crossbreeds are, in fact, breeds in their own right or just mutts. Regardless of where you stand, one thing is for sure; if you are considering a new dog, it’s important to learn as much about your desired breed—or crossbreed—as possible! A crossbreed—often referred to as a ‘designer dog’—is the product of two separate purebred parents. 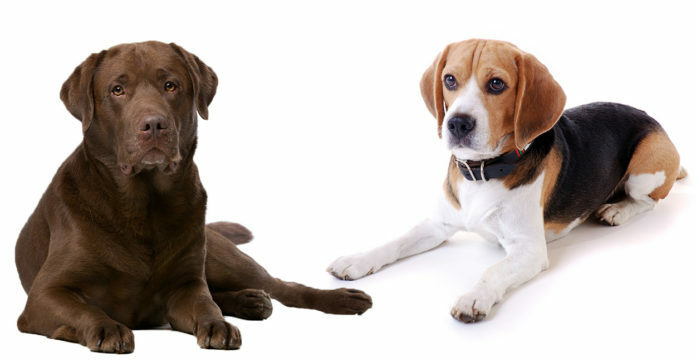 For example, the Beagle and Lab have been crossbred to produce the Beagle Lab Mix. According to the American Kennel Club (AKC), the Labrador and Beagle are two of the most popular dog breeds in the United States. Both are well-known for being family friendly, gentle in nature, and highly intelligent. But what about their offspring? Introducing The BeagleLab mix! Because the Beagle Lab mix is so new, very little is known about the origin. Still, the histories of both parents are quite compelling and give us some insight as to what the Beagle Lab mix is all about. The Labrador Retriever is currently the most popular dog breed in the United States, coming in at number one on the AKC registry. This is likely due to their gentle nature, intelligence, and family-friendly reputation. The Lab originated in Northwest Newfoundland, Canada. Once upon a time, the Labrador was actually known as St. John’s Dog and was largely bred for hunting. The Lab was first registered by the AKC in the United States in 1917, where their popularity quickly skyrocketed. In modern times, the Lab is bred as a doting family pet. But don’t be surprised if you see one at the hip of an officer working as a narcotics detection dog, or even leading the way on a search-and-rescue mission. In addition, Labs are known as excellent guide dogs for the blind. Their intelligence and loyalty make them great service animals to their human companions. The full extent of the Beagle’s origin is a bit hazy. 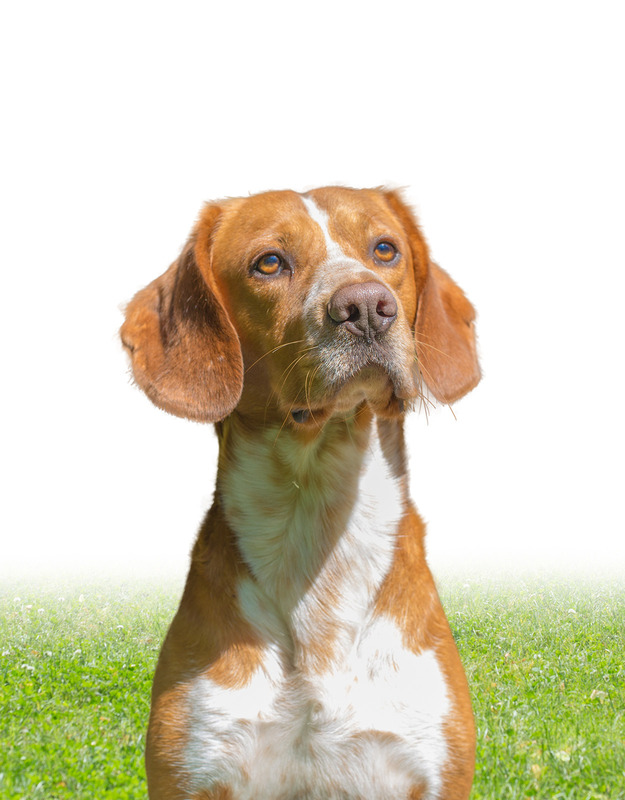 The American Kennel Club first recognized the breed in 1885, and the modern Beagle breed can be traced back to Essex, England around the 1930’s. Beagles are part of the hound family and according to the AKC, are considered one of the most popular hound breeds in the US—charting at number five on the list! Just like the Lab, Beagles were bred primarily for hunting. Beagles are also known for a keen sense of smell and their signature bark, which comes in handy when leading hunters to a fallen game. As with any first-generation crossbreed, the outcome in terms of things like temperament can be unpredictable. Crossbred dogs can inherit behavioral traits from either purebred parent. Taking a closer look at the parents of your potential Beagle Lab mix puppy can give you some insight into the possible temperament your dog could inherit. 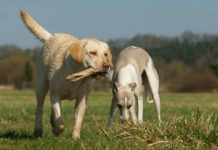 In general, Labs are widely known as intelligent dogs, eager to please and easy to train. They are excellent family dogs and do well with children and other pets. But Labs like to chew! As such, they require an abundance of toys and bones to reduce the chances of damaged furniture and flooring. Labs are also high-energy dogs requiring regular exercise and love nothing more than being part of fun family activities. Beagles are known to be playful, affectionate, and highly energetic, meaning they crave constant activity and need a sufficient amount of exercise. Beagles are also known to love the outdoors. Since they are easy to train, Beagles do well in homes with children, just like the Lab. However, they are quite vocal and known for their boisterous bark! As with temperament, the Beagle Lab mix can inherit a wide range of physical traits from both parents. Features like coat color, weight, and height have to be left to chance and will depend on which parent the mix takes after. The Lab comes in three standard colors: black, yellow, and chocolate. The Beagle has 25 possible color combinations, with ten colors making up those combinations—tan, white, brown, lemon, red, blue, black, bluetick, redtick, and fawn. The full-grown Labrador will be 22 to 25 inches and weigh about 55 to 80 pounds. An adult Beagle is typically 13 to 15 inches tall and weighs about 20 to 30 pounds. In general, a full grown Beagle Lab Mix will be a medium sized dog that about 19 to 24 inches and 25 to 45 pounds. 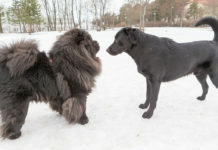 Again, size, height, and weight can vary depending on the purebred parents. For the most part, the Beagle Lab cross is easy to care for and only requires bathing a few times a month. Both the Lab and the Beagle have similar weather-resistant coats that shed seasonally. So, the Beagle Lab mix is going to require weekly grooming and brushing to help keep its coat shiny and healthy. Since the temperament of the Beagle and Lab are quite similar, a Lab Beagle Mix puppy is expected to be an intelligent, highly energetic, and incredibly loyal crossbreed. Like his parents, the Lab Beagle Mix will be eager to please and easy to train. When introducing a new dog to your household, it’s best to provide your new pup with proper socializing and training. This can include daily walks on public trails or paths, hanging out in parks, and switching up scenery to get your dog used to new faces, sounds, and smells. Labrador Beagle Mixes are known to suffer separation anxiety and may exhibit destructive behavior when left alone too long. If they become bored, the Beagle Lab Mix will sometimes bark, or even howl. Consistent exercise and a variety of toys will help keep your Beagle Lab Mix calm and entertained while you are away. Typically, the Beagle Lab mix has a lifespan of 12 to 15 years. It’s also important to consider the lifespan and any health-related issues the purebred parent breeds. Let’s begin with the Lab. A healthy Labrador’s lifespan is 10 to 12 years. As with all breeds, some health problems are passed down from generation to generation, and the purebred Lab is no exception. Labs are known to suffer loose knee joints, elbow and hip dysplasia, ruptured ligaments in their hind legs, eye disease, heart disease, epilepsy, cancer, and chronic allergies. Labs are also more prone than the average dog to gastrointestinal problems and bloating. In general, the Beagle is a healthy breed with a life expectancy of 10 to 15 years. Early health screening of your Beagle Lab mix can help to avoid or prepare for future problems. Both the Beagle and Lab are prone to obesity and overeating, so it’s important to have a healthy feeding plan for your Labrador Beagle Cross. Choose healthy brands of food that provide proper nutrition depending on the age and weight of your Beagle Lab mix. Doing this can help reduce the chance your Beagle Lab mix will suffer from obesity. What is the Ideal Home for a Beagle Lab Mix? The Beagle Lab Mix will do best with an owner who lives an active lifestyle and enjoys being outdoors. Lab Beagle Crosses makes excellent family dogs. Although, it’s important to bear in mind your dog could be prone to chewing, like the Labrador or be a boisterous barker, like the Beagle. Finding a new puppy from a reputable, responsible source can sometimes be tricky. So do plenty of research before you decide where to get your Beagle Lab Mix. Because so many health issues are heritable, it’s always important to research the history and parentage of your puppy, if possible. 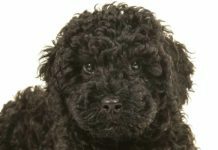 Most reputable breeders should be able to provide certificates regarding the health of its parents and prove they have been screened and cleared of certain health issues. Be sure to ask about temperament issues and health concerns with parent dogs when looking to adopt any crossbreed. As we’ve already discussed, crossbred dogs can inherit tendencies from either parent. If you are unsure about rescuing from a local shelter or purchasing a dog from a breeder you find online, you could try attending a local dog show. Networking at events like this can help point you in the right direction. You can also find a local AKC, which can help you locate the right breeder. Shelters often carry all types of crossbreeds, and one of the many advantages of a rescue dog is the price! Although most shelters incur fees, they are often a fraction of what some breeders will charge. Most shelters will cover the initial vet fees, to ensure the dog is adoption-worthy and ready for a new home. So, How Much Does a Beagle Lab Mix Cost? From a breeder, be ready to spend anywhere from $600 to over $1,000 depending on the breeder’s reputation and the history of the Lab Beagle Mix’s parents. We recommend researching reputable shelters in your area to find out the specifics on pricing. For a rescue dog, you can expect most adoption fees to be anywhere from $50 to $100. Is a Lab Beagle Mix the Right Dog for You? By all accounts, the Beagle Lab Cross will make a great family pet. With proper training, health screening, and care, your family will be able to enjoy your new pup for years to come! Do you own a Lab Beagle Mix? Please share your experiences in the comment section! Hsu Y et al. 2003. Development and validation of a questionnaire for measuring behavior and temperament traits in pet dogs. Journal of the American Veterinary Medical Association. Turcsan B et al. 2017. 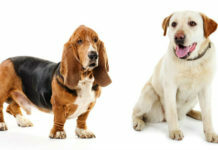 Owner Perceived Differences Between Mixed-Breed and Purebred Dogs. PLoS One. Santoro D and Marsella R. 2002. Genetic aspects of labrador retriever myopathy. Research in Veterinary Science. Sutter NB and Ostrander EA. 2014. Dog Star Rising: The Canine Genetic System, Nature Reviews Genetics. Our beagador is the best dog we will ever own. He has never chewed anything up besides his toys, but he has about dozen of them and he takes time to chew everyone. He is 25 lbs but has the bark of a 100 lbs dog, which we like because our kids get home from school before we do and I like that he sounds big from outside the house. He LOVES to snuggle, he would snuggle all day long. Very smart. Minimal training and he sits, stays, lays down, rolls over and shakes. We have a game where I make the sounds of eating and he frantically searches for his bone because he thinks I’m gonna eat it. For the first year he had to be leashed because he would just follow his nose and keep going, but once he bonded he was fine. He takes turns sleeping-guarding each kid at night. He’s the best. I wouldn’t recommend apartment living, we have over an acre fenced and he will go out run around the yard 5 or 6 times, he is pretty dang fast too. Several times he has caught up to a bird and caught him in his mouth but lets them go, of course we don’t encourage this because we have chickens. Minimal training early on will produce a focused, smart, loving, snuggle maniac.